Join e-commerce developers from around the world at the 2018 Code.Talks Commerce — a conference focused on the newest developments in the e-commerce space. The conference will feature a variety of talks in English and German, over the course of April 12th and 13th. 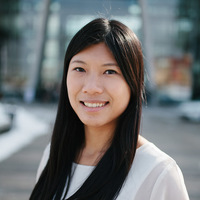 Jenny Shen, a Toptal designer and member of the Speakers Network, will give a talk titled Persuasive design patterns - Design experiences that enhance and align with motivations. Join Jenny at 2:00pm in Theater 7.